An energetic, enthusiastic corporate image was to be presented. 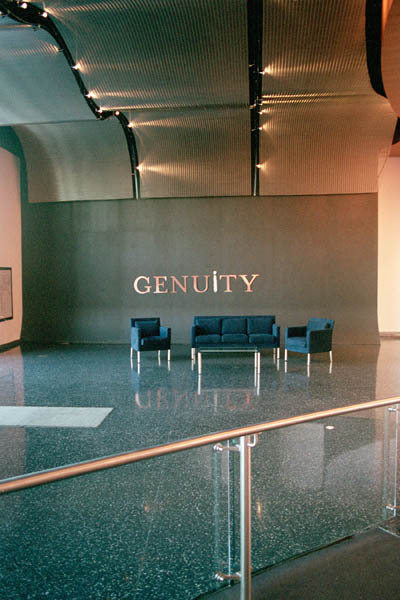 The lighting concept integrated strategically placed lighting systems to light all perimeter surfaces utilizing their distinctive reflectance qualities to provide accent, task, and general lighting without offensive glare. 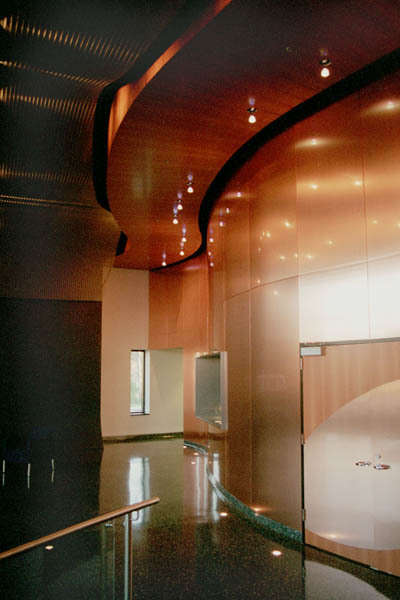 The metal mesh ceiling detail was created with 10” spacing that accommodated a low-voltage custom designed track that synchronized with curving floating panels – visually becoming “one”. 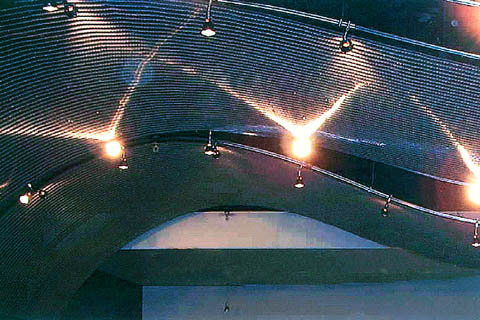 Track heads aimed 90-degrees highlight the metal mesh texture with a 0-degree angle providing general lighting below. The light from the mesh grazing captures the soffit fronts, creating attractive light and shadows. Iridescent crystal monopoints, placed on a pear wood soffit, reflect on adjacent copper walls creating sparkle while offsetting daylight reflections. 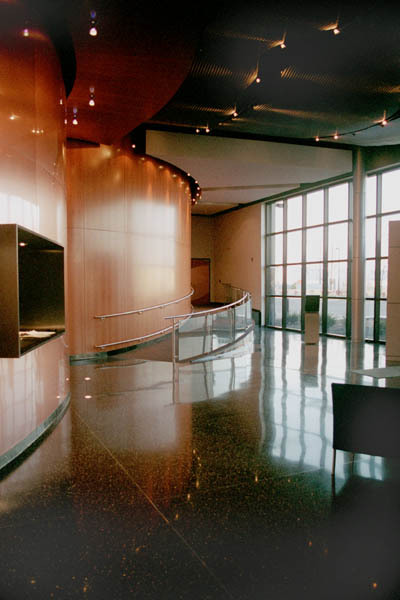 Floor uplights enhance wall and soffit lighting and provide visual balance. 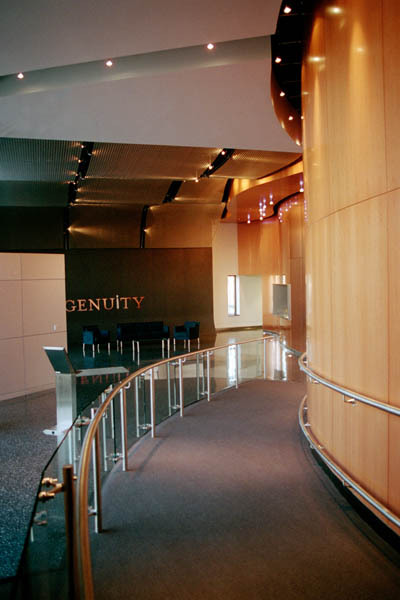 The lobby used only 3 lamp types; 6,000-hr MR16-NFL’s in track and cable; 50W-T4 in monopoints; and 20W-MR11 in floor uplights.